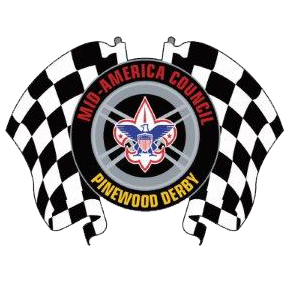 The Mid-America Council Pinewood Derby is excited to host the 2018 Pro-Racing Nationals at this event as well! This is a first-class event unlike any other in the Mid-America Council or the country for that matter. Come to race, have fun, and get in the Scouting spirit. Includes: An incredible day of fun and a specialty Pinewood Derby patch to remember the experience! Plenty of giveaways and a chance to win TONS of prizes, not to mention perhaps taking home a trophy too!